Say NO to the same old stories. Check out some of the most innovative short stories for kids today! Each story is written with the purpose of inspiring Sustainable Development in Early Childhood Education. What is time REALLY? Is it the Clock, the Days, the Months, or the Years? 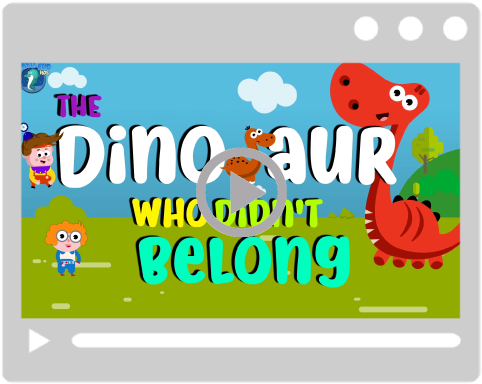 Introduce your little ones to time in this fun story about the Time Giant and Dinosaurs. Watch how an electric car meets a car that runs on fossil fuel. 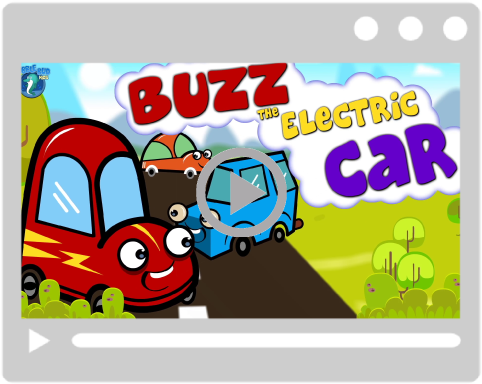 As the story progresses, Buzz and Vroom learn and educate kids about the importance of a cleaner environment for a better future. 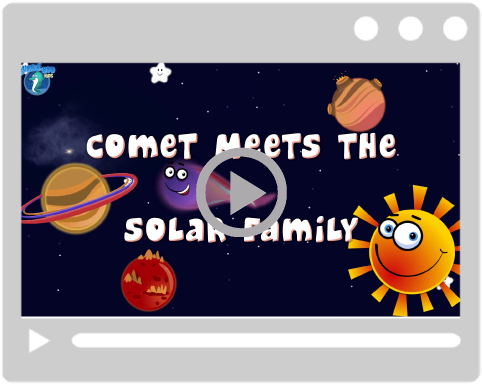 Take your kid on an educational journey through the Solar System through this fun kids story in English about the planets and comets in the Solar System. 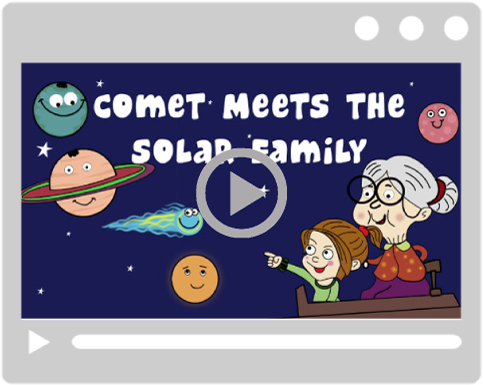 Learn about the functioning of the Solar System through this fun and interactive approach kids can relate with. 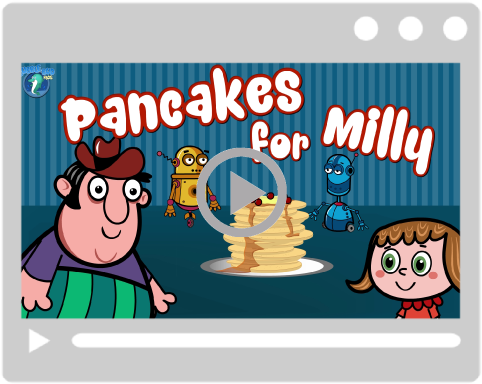 Zoom into the future with this fun story where kids learn about how food is grown and cooked. The story also explains little ones about the importance of food and why one shouldn’t waste it. 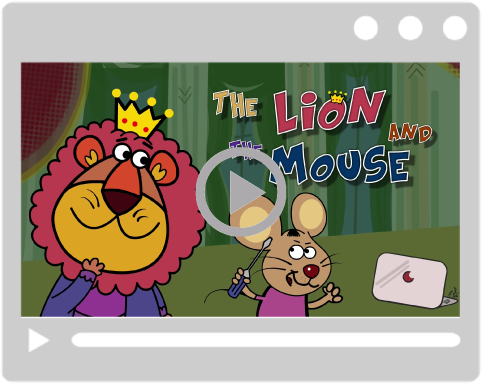 Visit the jungle with the Lion and the Mouse to learn about how they are making a difference in this world through this new age kids story filled with interesting moral values that matter today. Kids learn about collaboration and sports through this fun story about Junglies playing football. Watch how the animals – bears, cheetahs and tigers use their strengths to win matches.! Watch how Rooney overcomes the challenges and learns about the importance of cleanliness when he had to travel to a different town. 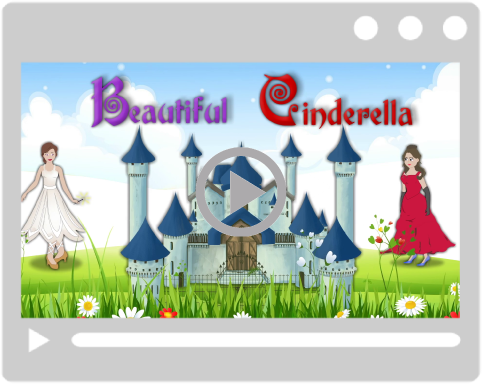 Epics like Cinderella were told to inspire positivity, but attempts to increase the level of drama has led to creating villainous characters and relationships. Watch our version of the story that ensures the right message is passed in a positive way.